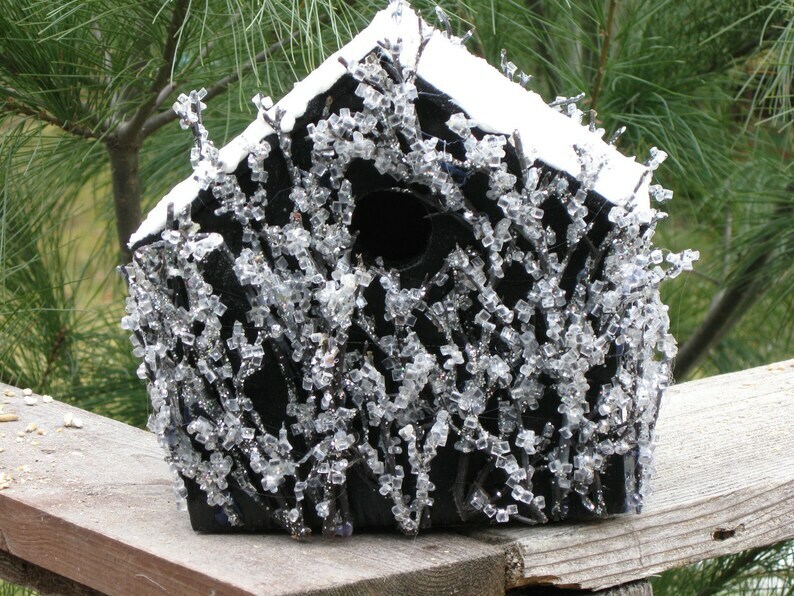 A black painted house with "ice" branches all around. The "ice" are clear beaded crystals covering the branches. The roof is covered with artificial snow. It measures 6 1/2 inches high x 4 inches deep x 7 inches wide. Sparkling ice without the cold.